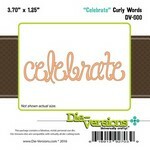 Back again, on the Dies R Us Blog! This time I would like to share a little project with you. A perfect little garden tote. I'm not sure what I will put in it as yet, probably something chocolatey. I will be entering this into the Challenge at Simon Says Wednesday, Flowers. WOW!!! This is just so darn cute!! What an awesome idea and it looks FABULOUS!! YOU GO GIRL!! Love all the flowers, vines and butterfly! SWEET!!! I am speachless! Thanks for all of the pictures of this project as each one is worth a thousand words. You did a fabulous job making this purchase, one of a kind. So many great flowers and the picket fence and word element are amazing. Love all of the pictures. OH. MY. GOSH!!!!!! So much going on here, I'm just amazed beyond belief!!! This is absolutely fabulous, your mom is going to be blown away! I have always felt that poinsettia flowers could be used any time with any color....just because they are pointy doesn't mean they are only for Christmas. The little fence, the butterfly, the foliage, all the flowers, I can tell you had a ball making this!! This is truly a darling project!! I love the pretty spring colors and that sweet, sweet butterfly. You brought every element of this project together perfectly!! You certainly did turn it into something fabulous. I just love it and someone will be so happy to get a gift from you with this gorgeous container. Wow! You knocked this out of the park. I love everything about it. Every wonderful detail. WOW!!! Super cute and so fun. Your mom will love it (just don't forget the chocolate)lol. And who says poinsettias are only for Christmas??? Oh my, this is wonderful, Donna! Love the flowers in your basket, of course, but the little details like the butterfly and fence makes it that much more special! Thanks so much for joining us at the Simon Says Stamp "flower" challenge! I told you how much I liked this over on FB..but let's make it official here. Over the top WOW! !I think my fav part is all the ivy! This is a beauty! The flowers, the colors...so many gorgeous things to look at. It is stunning!